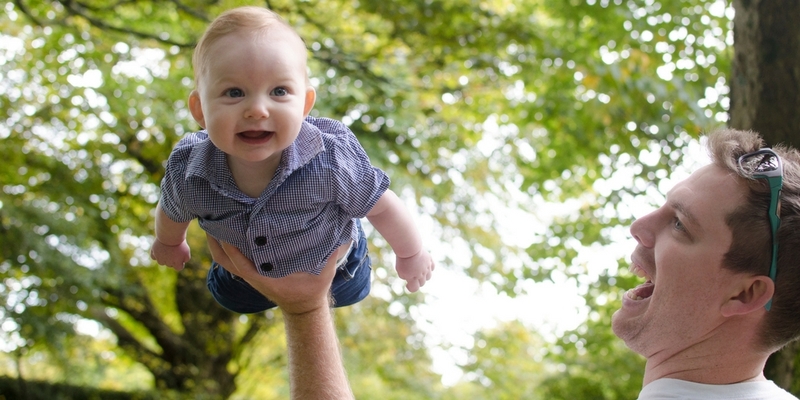 Anyone who has a child will tell you that they very rarely perform when you want them to. How many children have sat through their 2 year review and refused to say a word, or even attempt the jigsaw puzzle that the health visitor brought along? Something about the expectation on them to do something makes our chatterboxes go silent and our jigsaw whizzes completely uncooperative. 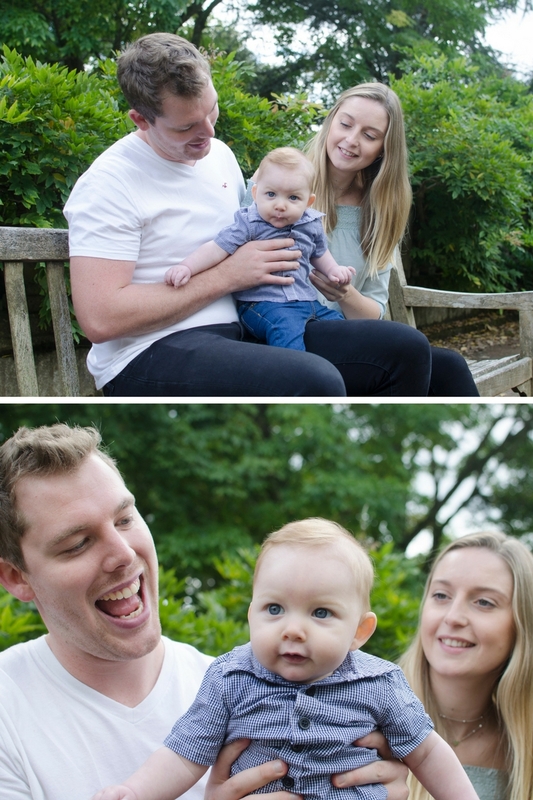 So it’s not entirely surprising that normally happy, smiley babies suddenly turn serious when you want them to smile most of all – during a photo session. 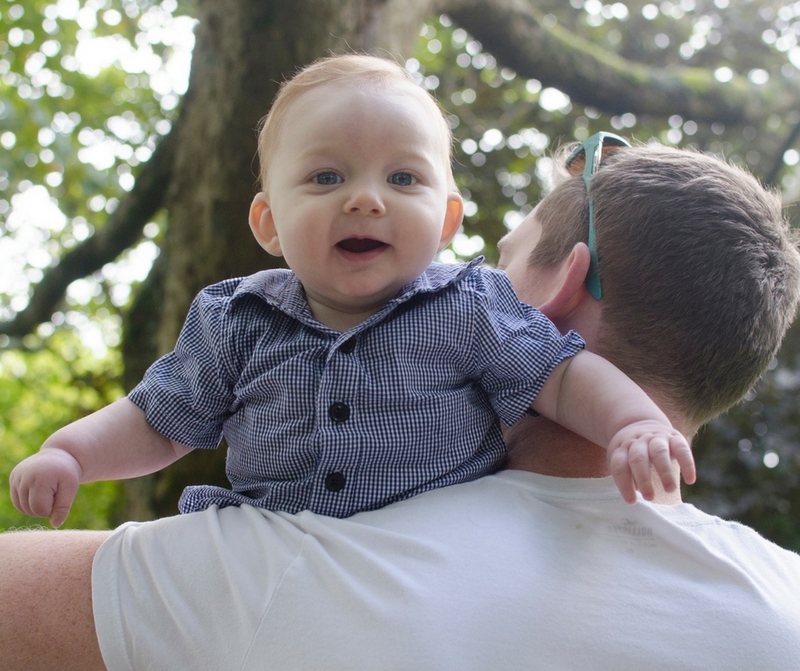 When I met Siân and Michael in Singleton Park for their family photo session a few weeks ago, this is exactly what happened with their gorgeous son Jacob. At the beginning of their session he was incredibly serious. What I love so much about lifestyle and documentary sessions though is that if this happens it’s absolutely fine! We’re not in a studio, trying to get them to sit still and smile nicely for the camera. We have plenty of time to relax and have fun, and after a while those smiles start coming naturally. In Jacob’s case, a few kisses from Michael and a little bit of flying through the air was all that was needed to bring him out of his shell a bit! With a session that takes a more documentary approach even the things that would normally mean a break in the session become part of it too. 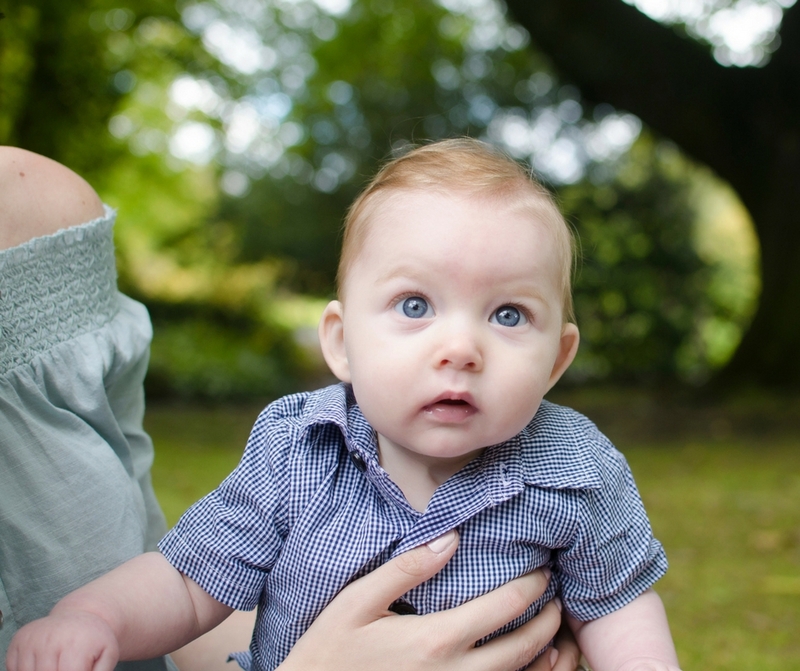 When Jacob got hungry during his session in Singleton Park I was really happy because it meant I got to document that moment for Siân. 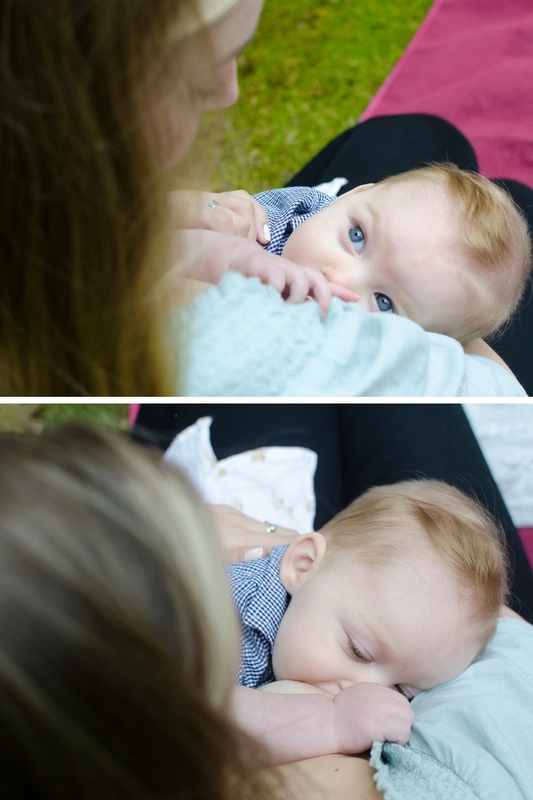 There are hardly any photos of me feeding either of my children (I bottle fed one and breastfed the other) and that makes me really quite sad. 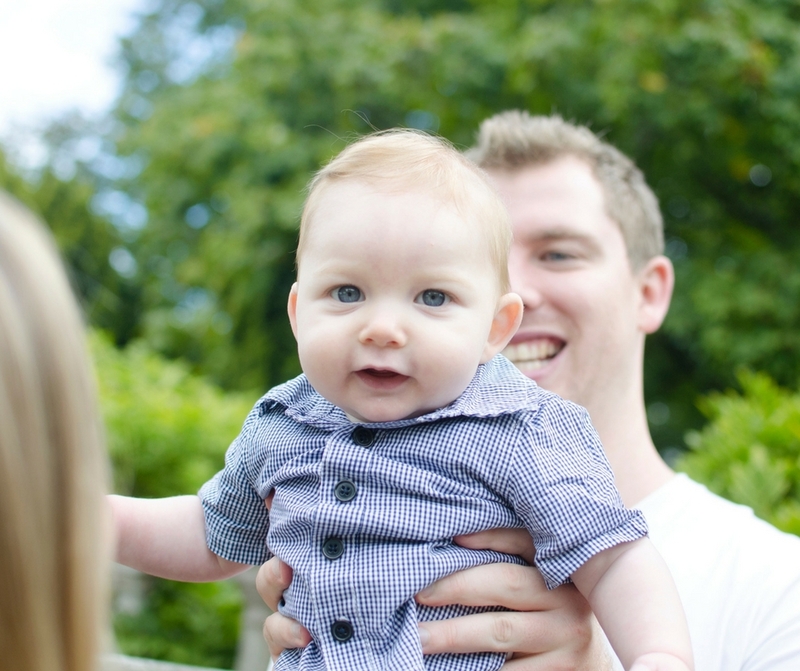 So I jump at the chance to document these moments for other parents. At the time it all feels so ordinary and just part of the daily routine with a baby, but as they get older and move away from milk feeds you realise how special that time was. So please, do get some photos of it while you can! With his tummy filled Jacob was ready for a bit more fun so we strolled round to another part of the park for some bubbles and some fun singing row, row, row your boat. Siân and Michael wanted some family photos as well as some of just Jacob, so we took a few minutes for them to sit and play all together while I snapped away. The beauty of a lifestyle and documentary session is that you can get the best of both worlds. 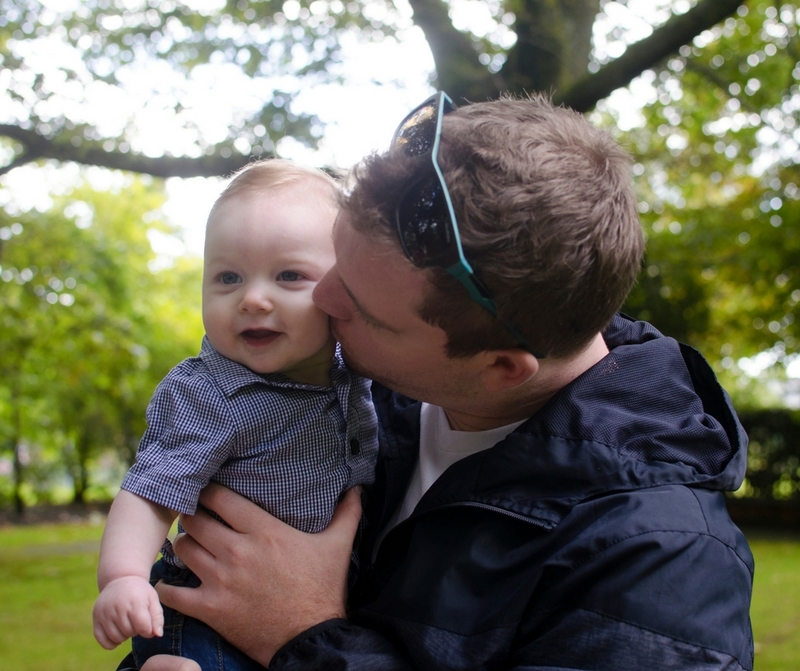 You get this moment in your parenthood journey documented, in a way that is authentically you, and you also get the individual and group photos that you would want from a more traditional portrait session. 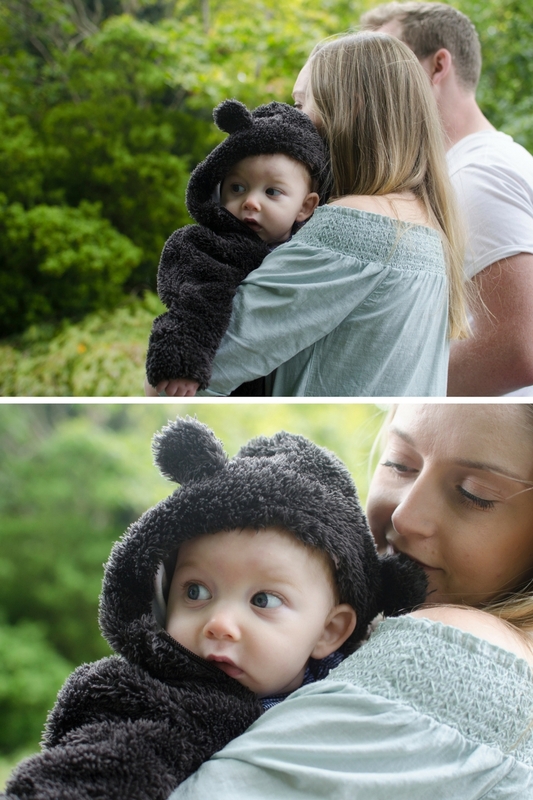 As Siân and Michael’s session went on it started to get a little bit chilly in Singleton Park, which actually worked out well because it meant Jacob could put on his unbelievably cute teddy bear suit. I’ve always been a sucker for hats and hoods with ears on for little ones and this outfit just made my heart melt a little bit. It was so soft too, Jacob really was like a little teddy bear in it! After a few last cuddles Jacob let us know that he was getting hungry again and so we said our goodbyes and I headed off home where I couldn’t wait to get the photos off my camera and on to my computer and start editing. When I followed up with Siân after sending her their photos I was absolutely thrilled to hear that they loved the photos, so much so that they’re now up on the walls in their home. Exactly where they should be! 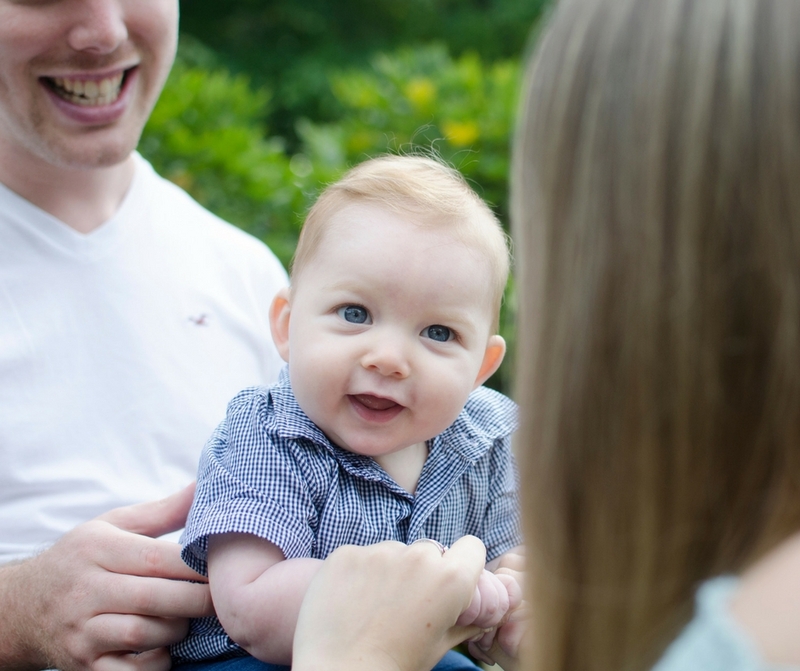 Whether you’re expecting your first child or have just completed your family with a new puppy, a Parenthood session is the perfect way to document where your life is right now. 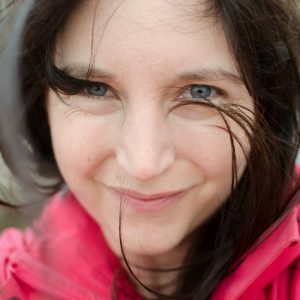 If you’d like to have a chat about arranging a session please do get in touch, I can’t wait to hear from you!